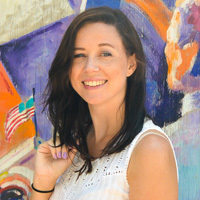 As you are Marie Kondo-ing your way through your closet this month, you may end up with a pile of old t-shirts in need of new life. 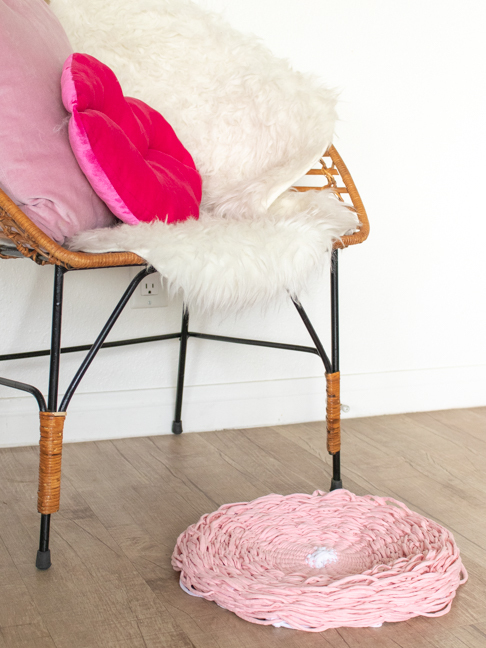 Luckily, there’s a DIY for that! 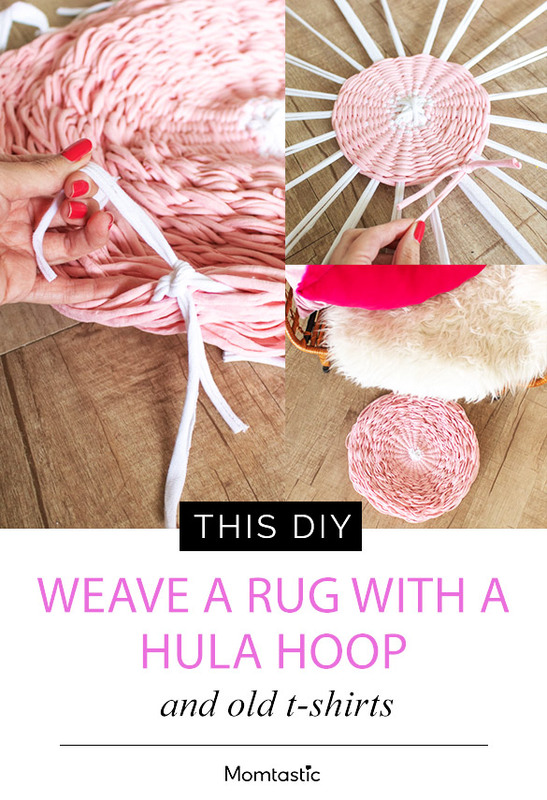 Repurpose them into a rug using a hula hoop as a loom! 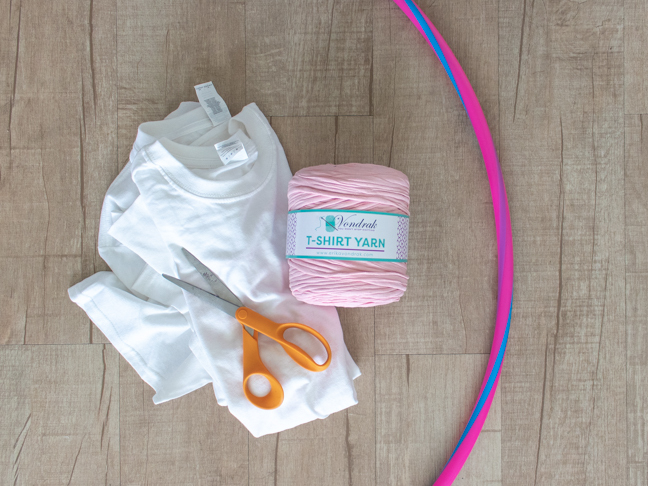 This simple t-shirt hula hoop rug is a great in-front-of-the-tv activity for teens and adults to upcycle those random t-shirts. Of course, you can also use t-shirt wool as I did. 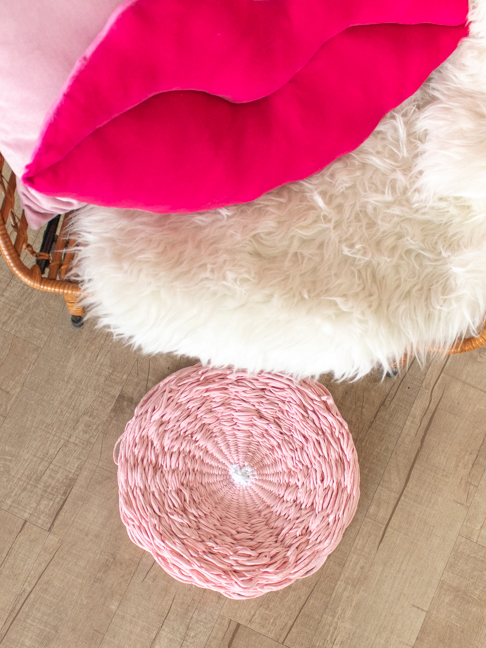 Use t-shirt wool or strips of all one colour or a variety to make a small technicolor rug that’s perfect for any room in your house. Step 3: If using t-shirt wool, unravel an extra long piece and ball up the end. 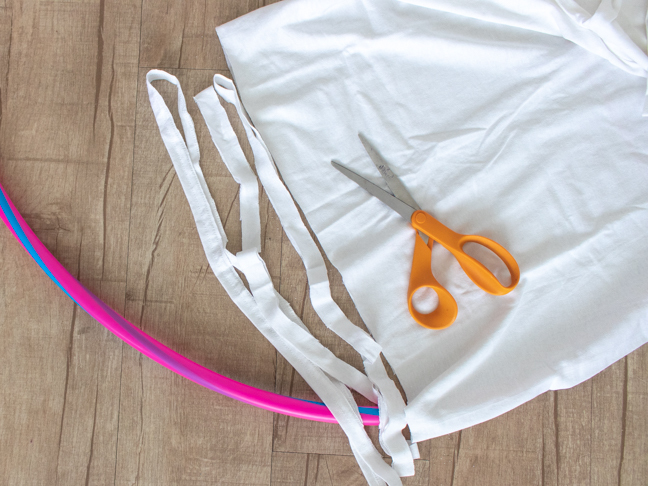 If upcycling t-shirts, cut 1/2 inch strips of the shirts, then cut open one end to make the strips. Step 3: Tie one end of the t-shirt wool to TWO of the “spokes” where they all meet in the middle. 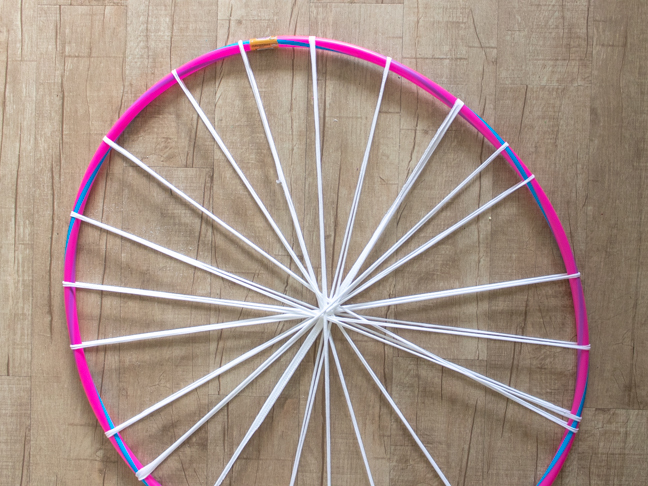 Then join those two spokes together and readjust the spokes around the hula hoop. 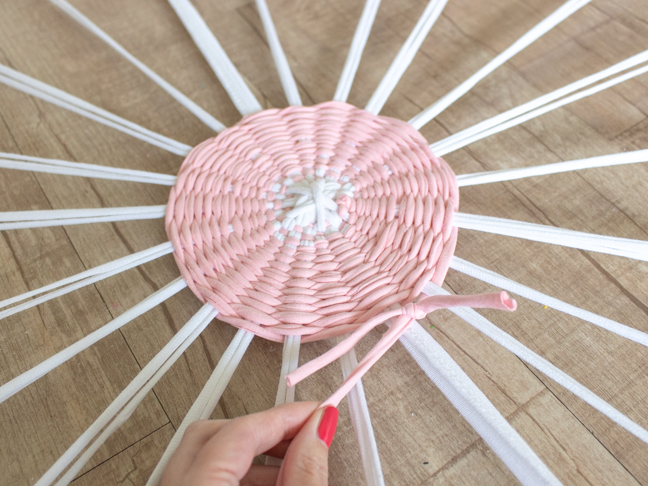 This created an odd number of pieces in the loom so that you can weave. It will NOT work if you skip this step. 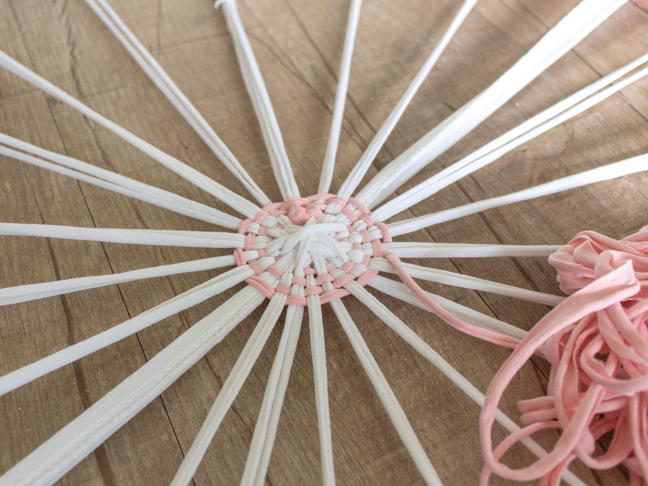 Step 4: Once knotted in place, begin under-over weaving around the hula hoop. Press the wool inward so that it appears tight. Continue until you run out of t-shirt wool. It should be just tight enough to hold without being too tight. 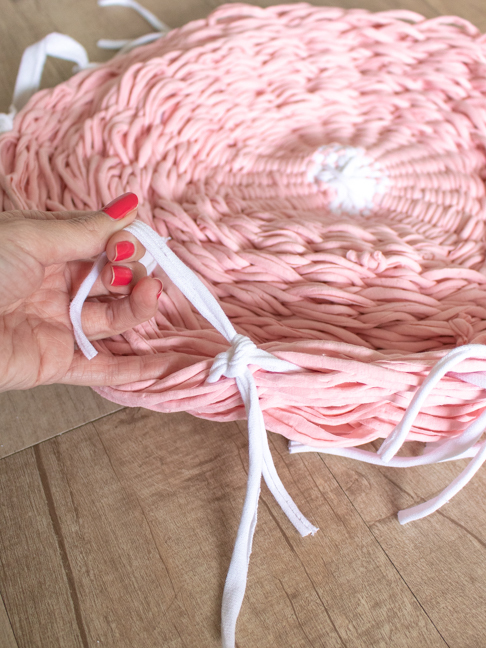 Step 6: Once you get near the end of the hula hoop or run out of t-shirts, tie the end of the wool to the weaved area. 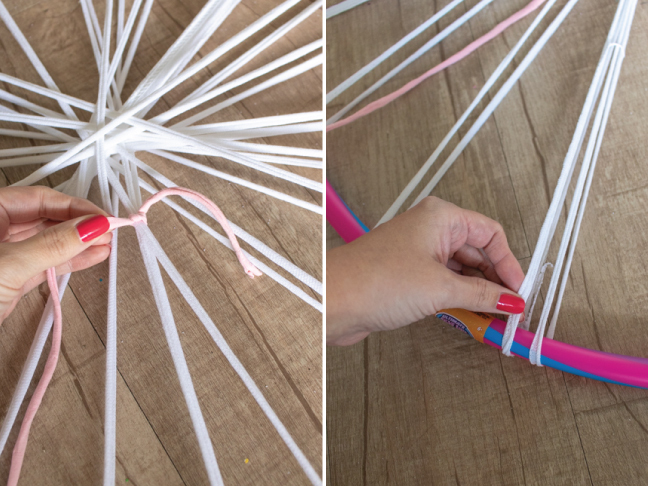 Snip the “spokes” from the hula hoop and tie into knots.